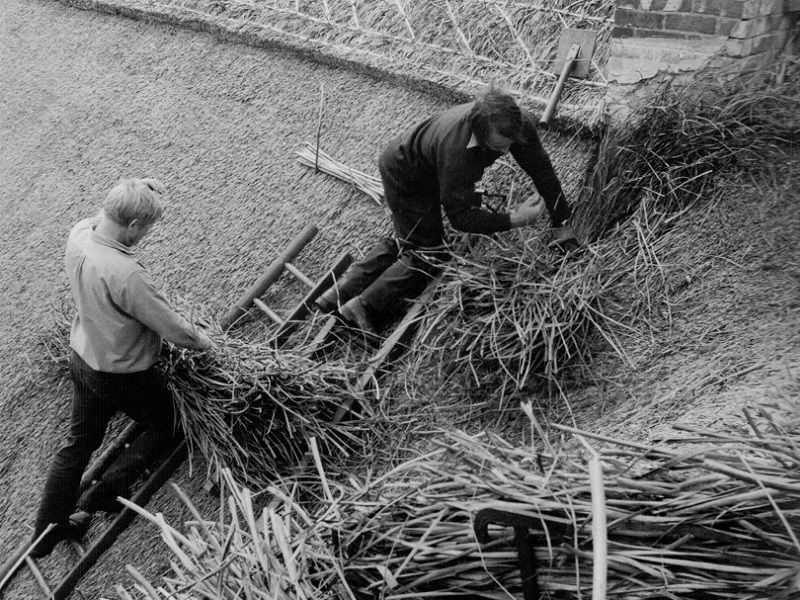 Dorset thatcher Rod Miller completed his thatching apprenticeship during the 1960’s with a thatching contractor in Wiltshire and in 1966 accepted the post for resident thatcher on the Weld Estate in Lulworth, Dorset where he still lives today. Soon afterwards Rod was approached to price work for private thatched house owners and in the early 1970’s employed two trainee thatchers, one of whom was his brother, Ronnie. As business thrived Rod sought more apprentices including Richard Nicolson who remains part of the firm today along with his son, Tom. 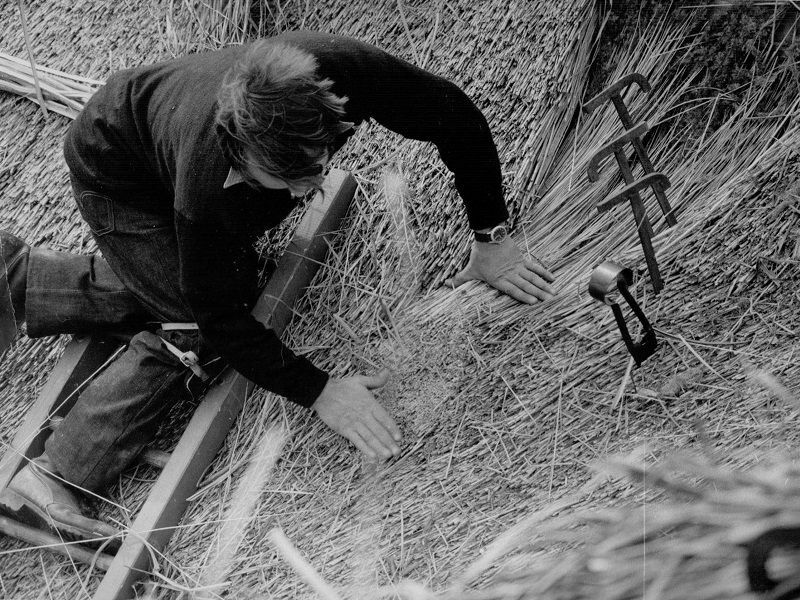 In the 1980’s Rod turned to importing reed from abroad when suitable local thatching reed became difficult to obtain. 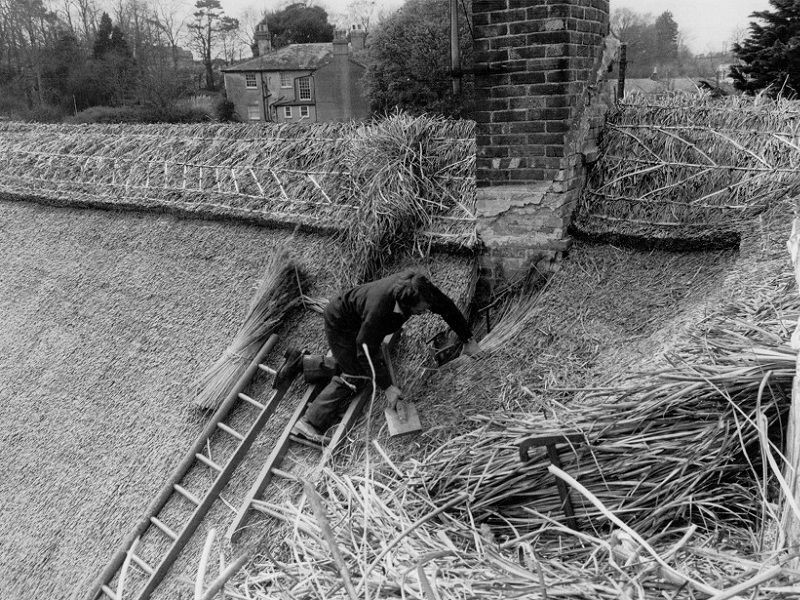 Realising the demand for it from other thatchers, he set up a reed dealing business to run alongside the thatching and to supply thatcher’s right across the UK. 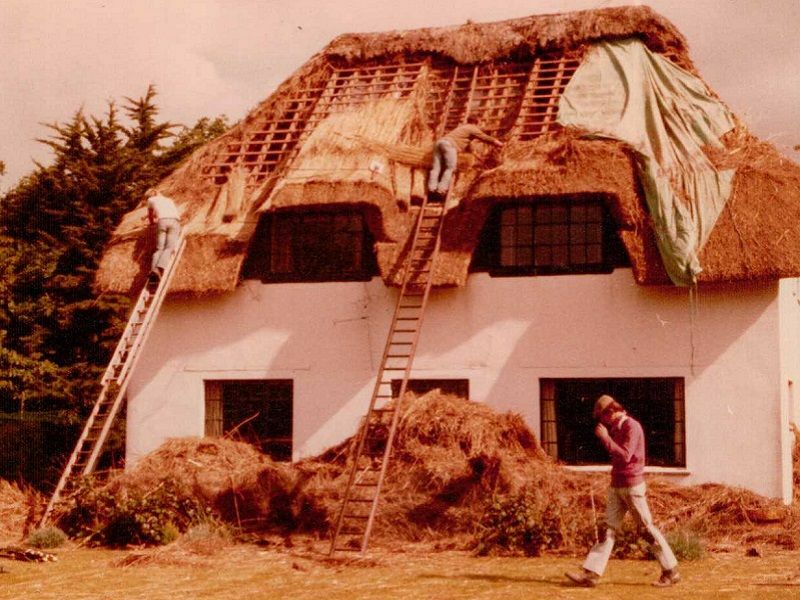 Rod firmly believes that without the importation of these foreign materials the thatching craft will not survive and result in the loss of many historic thatch roofs. During the 1990’s new build thatch in Dorset really took off and gradually spread throughout other counties in England. 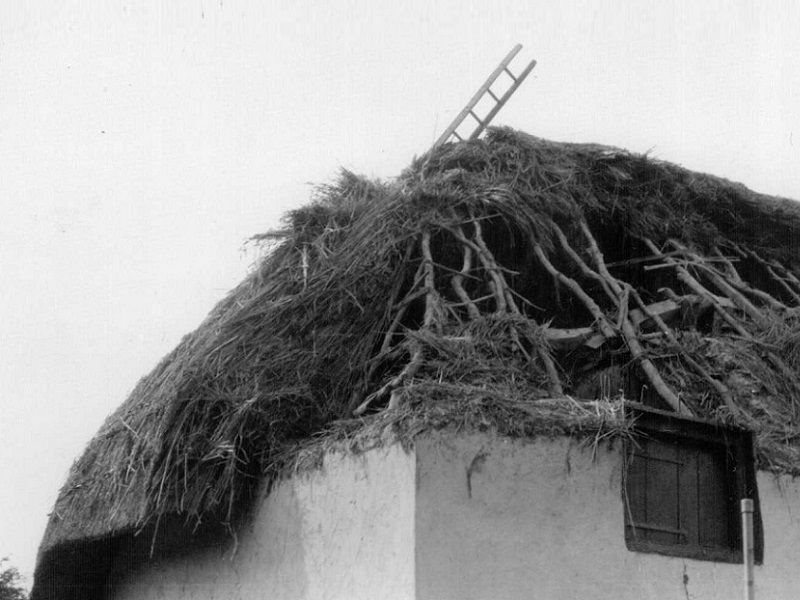 Rod took trade abroad and to France, where he thatched several roofs and owns a thatched property in Brittany. Today R V Miller Ltd continues to operate from its base in the beautiful Isle of Purbeck in Dorset and currently employs a workforce of approximately six to keep up with the demanding workload. 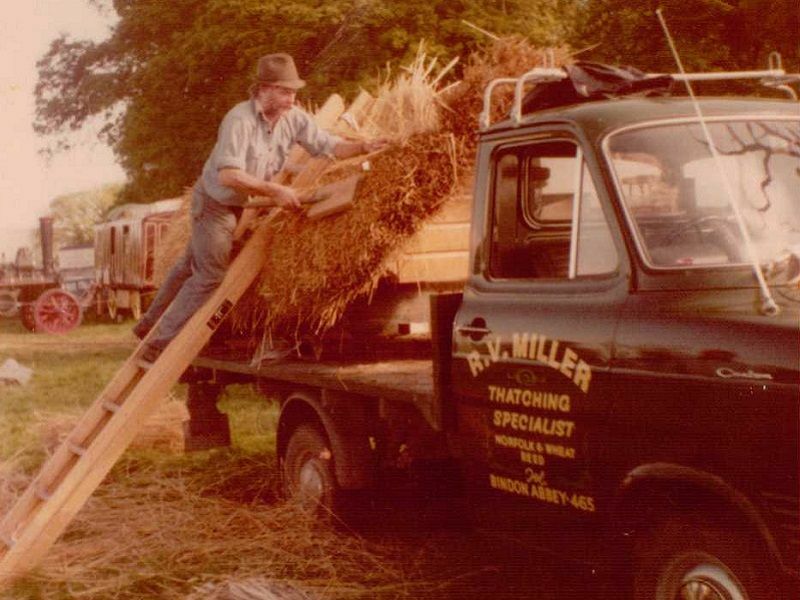 Although still involved in R V Miller Ltd, Rod’s stepson, John Tozer, now oversees the running of the business. John completed his apprenticeship in 1994 and also has experience of thatching in Germany, France and South Africa. After celebrating 50 years of thatching in May 2016 R V Miller Ltd continues to go from strength to strength.